SAB design studio is a fun and energetic, skilled, professional design firm. We are a confident, responsive, group of dynamic designers and architects that take pride in our client relationships. 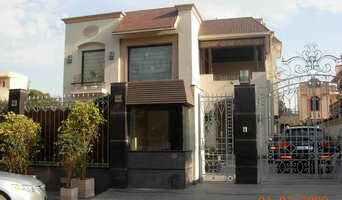 Established in the year 1999 at New Delhi, India by Ar. Ajay Gulati & Ar. Kanika Gulati, Our Firm consists of a team of experienced principals, and younger talent trained at the finest institutions of India. We take pride in providing our clients with the highest level of services in the fields of Architecture, Interior designing, residential building design, commercial building designs, Hospital Designs, Industrial Architecture, Project Management Consultancy, Home furnishings, Home Art, Commercial Art & 3D visualizations. We are a bunch of Architects designing Habitat Spaces since 2014 with the belief that well-designed spaces have a transformational quality, positively affecting the well-being of the inhabitants and the surroundings of the created Habitat. Our design process follows three guiding principles: Inclusion of the client and all other user groups at the various stages of the project by appropriately structured consultation Developing a simple and economic design unique to the project Emphasizing adoption of design strategies, technology, and material in favor of sustainability and energy conservation. We provide architecture and interior services for various scales of projects along with turn-key solutions. Founded by Rahul Bansal and Amit Aurora, who graduated in 1993 from the esteemed School of Planning and Architecture, New Delhi, groupDCA as a design studio was spearheaded in 1996. Envisioned as a 360 degree integrated architecture and interior design solutions firm, the studio has over the last twenty years, successfully designed award-winning spaces and retail identities of various corporate and luxury Brands along with Luxury Stores, boutiques, restaurants, salons, residences, and other commercial work that has been implemented pan-India. The word ‘Intrigue’ denotes curiosity. Hence, Intrigue designs have been putting forward fascinating designs since 2012; with a persuading vision of space and form defined by the users themselves. Based out of New Delhi with design stamps pan-India, the firm has accomplished architecture & design projects across diverse scales & typologies. Today, the firm has to its credit – renowed and successfully completed counterfoil of project bases with highly satisfied clients. Intrigue Designs executes each piece of work undertaken with a deep sense of optimism, excellence and integrity, keeping in mind that each project should reflect the ethos of the firm firmly which are focused on delivering innovative solutions - build on context, explore new technologies, and leverage the clients programmatic objectives. While Intrigue Designs plays its role as an agent of change, its efforts are rooted in the principles of responsiveness to local context and sustainable architecture. Studio Lotus is a multi-disciplinary design practice that believes in delivering enriching design solutions through a value-driven process empowering stakeholders and the environment. Found in 2002 by Ambrish Arora, Ankur Choksi and Sidhartha Talwar, it aims at crafting solutions that are benchmarks of sustainable design in the way they address society’s changing ways of living and working. The firm takes a deeply contextual approach to its work and combines this with a strong focus on the tactile and sensory qualities of the space. Currently marking its sixteenth year, Studio Lotus has won close to 100 awards both in India and Internationally. Absolute Architecture™ is a studio of architects, interior designers, services designers, contractors and project managers. AA was established with the aim of providing appropriate solutions for a variety of design and construction requirements. Emphasis towards context, innovation and respect towards the environment are key points of consideration during design. At AA, we believe that simpler yet richer architecture can be derived from two key components: the natural environment and the people that inhabit the building. Our studio offers diverse and quality design. The projects have been varied both in terms of the nature of the projects (office & residence interiors, factory buildings, auditorium complex, residences, set designs for theatre, bus terminals, MRTS (Metro) stations, and graphic design) as well as the project cost. A great amount of detailed interest and care is shown to each project irrespective of its size or cost. Furthermore, we recognise the key relationship between quality, time, cost and safety. All projects are planned such that the design and construction process involves the above variables. The core group in the studio consists of professionals who have wide international work experience, which has strengthened our rich database of ideas and practices. This international exposure to excellence has helped them achieve unique solutions for diverse problems. We are an architectural firm who gives one stop solutions for an architectural project right from Architectural Design, Structural, MEP services , Interior Design and Execution. You only have to turn your key and enter. Vision drives Equim Designs. Whether a bespoke and intimate project or an intense, grand thought piece- we aim to bring both of these to life; miniscule and maximum, with equal vigor, passion and refinement. A young, modern and individualistic approach to provide a seamless experience which crafts imagination into reality. With a keen sense of sustainable architecture, parametric design and conceptual cognizance. A strong sense of responsibility forms the pillars of our beliefs- on time delivery, quality execution and cost sensibility with high standards of work help us exceed expectations. At Equim, we thirst for the sharp, sublime, soulful and sustainable. We thirst for equal to extraordinary. Every object we produce be it a huge project or small lifestyle showpiece undergoes the same scrutiny of process & exactitude, that is founded in suitable material and innovation, irrespective of appearance. 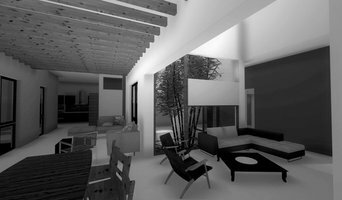 We deal in all kind of design work related to Architecture , Interiors , Landscape and Construction. As an architects work to deliver an innovative design that uplift the environment and the project stands out uniquely in the surroundings. We integrates the disciplines of architecture, interior design, sustainability, furniture, lighting and product design under a singular ethos. We love building things. 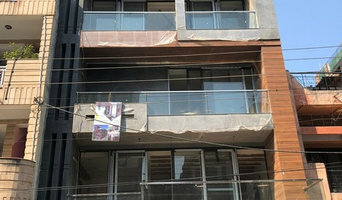 How do I find the best Delhi architect for my home design or renovation project? When building or renovating your home, you don't simply hire an architect or building designer — you build a relationship with them. Be sure you chose a home architect who will be involved in all phases of the design process, from the initial concept to the completed construction. Architecture is an incredibly technical profession and one where getting things wrong can literally put lives at risk, so ensure you hire a professional with a valid license or an architectural firm to maintain high quality and standards. Your next consideration will be architectural style. Some residential architects specialise in designing traditional homes or farmhouses, others in designing modern replicas of traditional homes. While a few have a knack for imagining bolder, more futuristic architectural design in Delhi that incorporates the latest technology. How much does hiring an architect in Delhi cost? Home construction and renovation often have a preset budget and hence it is important to understand how much architects charge. While there is no set payment structure, independent architects may charge differently from architectural firms. Architects sometimes choose to calculate their fees on the basis of a per square foot rate. In rare cases, especially with smaller projects, Delhi architects may choose to ask their clients for a fixed fee. Make sure the total figure and payment schedule is agreed as part of your contract, particularly if you are trying to accurately estimate the cost of building a house. 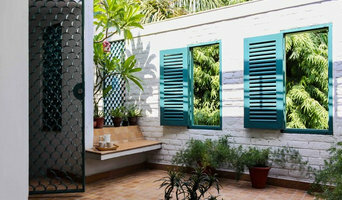 Find a home architect in Delhi on Houzz. Narrow your search in the Find Pros section of the website to Delhi architects. You may also look through photos projects to find building designers in Delhi who have worked on a project similar to yours.